In the past decade, an increasingly global marketplace has driven companies to seek more effective ways to manage. The methodologies that emerged from this investigation include total quality management (TQM), continuous improvement, reengineering, time-based competition, visionary leadership, and many others. What is still missing, however, is a clear explanation of the basic principles that underlie and unify these seemingly diverse approaches. 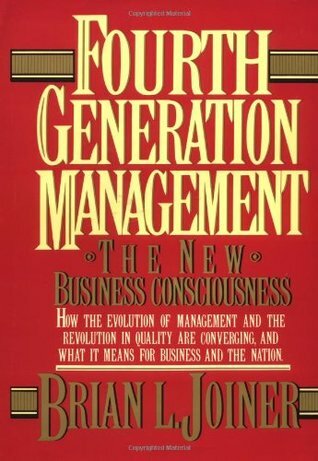 Now, from Brian Joiner, the most articulate voice of the new breed of management gurus, comes Fourth Generation Management. This landmark book provides a coherent and concise synthesis of the best ideas being implemented today and the most promising ones taking shape for tomorrow. The key elements of Fourth Generation Management are a dedication to quality as defined by the customer, a scientific approach to rapid learning, and the creation of team-spirited relationships both within and beyond our organizations.